If 2009 was a year of uncertainty, manufacturers’ products certainly didn’t show it. Buyers were able to choose from two new class-leading hybrids, a couple of new pony cars and several other creative designs that all pushed the boundaries of their respective segments. Despite the economic downturn with accompanied scrambling for solvency, the trend toward smarter, efficient cars took root and stood firm. The list below includes exciting new products scheduled for production during calendar year 2010. From the buyer’s perspective many will be worth the wait as they represent new thinking and technology that are expected to carry manufacturers through the industry’s transition to Electric Vehicles (EV) as well as new form factors that suit today’s economy and lifestyle. If 2009′s LA Auto Show is any indication of what to expect in 2010, the trend toward efficiency and driver involvement will continue. And in some cases manufacturers are counting on strong sales to justify new partnerships and changes to old-school business practices. Even more than 2009, 2010 will focus on product first and provide consumers with several choices worth waiting for. 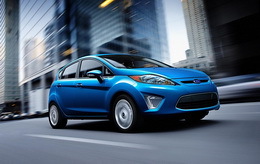 Ford Fiesta/Mazda 2: While these two subcompacts share Ford’s DE platform architecture, there are enough subtle differences in styling, trim and tuning to make them appeal to slightly different markets. You can’t go wrong with either. They both blend style, efficiency and driving dynamics in a way not seen since first generation VW Golfs and the Mazda GLC. 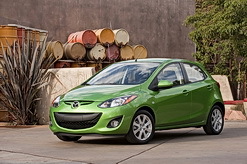 The Mazda 2 was named “World Car of the Year” in 2008 for good reason. Both cars raise the bar for the segment. Honda CR-Z: Recently a CarReview reader commented that he didn’t understand why the Honda Accord continued to make everyone’s ‘Best Choices’ list when the design and drivetrain appeared relatively conventional. The answer is execution and detail engineering. A car is more than the sum of its parts. Behind the wheel you realize that at its core Honda is an engineering company and knows how to make exceptional products – even the seemingly mundane volume selling sedans. That said, what standout engineering and technology has Honda offered lately? Where’s the new VTEC? 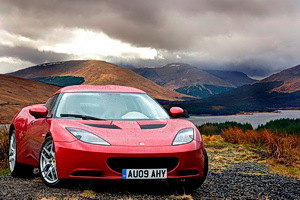 Or the lauded double wishbone suspension? The 2010 Fit was listed as one of CarReview’s ‘Best Choices” and is the current standard for packaging efficiency. The upcoming CR-Z is poised to be a similar dramatic hit. Drawing on the storied 80s and 90′s CRX styling, the Honda CR-Z will blend packaging efficiency and an innovative hybrid drivetrain to add a sporting flair previously unseen in hybrids. Honda’s engineering mojo is back and the CR-Z has many enthusiasts waiting in the wings for this sporty urban runabout. Chevrolet Volt: Yes, the Chevrolet Volt that is still on schedule for volume production in November. Behind GM’s occasionally over-zealous marketing machine is a car with some brilliant innovations: To manage costs, several Delta II platform components are shared with the Chevrolet Cruze. The series hybrid drivetrain known as the ‘E-Flex System ‘ is modular to allow for different types of range extension engines. While sold as a ‘plug-in’ the Volt is actually a flexible EV with many paths for growth and refinement. GM is already working on a next generation Volt that promises a lower price point, better efficiency, class leading aerodynamics and even an engaging, sporty drive. The Camaro may have been a bit over-hyped, but all eyes on are on the Volt to see if GM can recover some its engineering credibility, execute and deliver an new and better way to drive. Cadillac CTS Coupe: Every company needs a halo car. Lexus finally has its LFA. Mercedes has its SLS. Audi has the R8. GM has… the Corvette? GM has been struggling with the halo concept for years and has desperately tried to place it within its premium Cadillac brand. Starting with the misunderstood Allante and the recently cancelled XLR, GM and Cadillac desperately need something to get people into Cadillac showrooms. It has to be beautiful. It has to be powerful. It has to be well engineered and it has to be right for the times. The CTS Coupe, in base high-tech V6 or V-Series supercharged V8 form is that car. In the metal it is achingly beautiful and the thoughtful engineering that comes from the thorough engineering behind the sedan shines though. Nissan Leaf: Seemingly out of nowhere the Nissan Leaf has appeared as the first full EV offered by a major manufacturer. CarReview’s initial impression suggests that Nissan and its partners are dead serious about making tomorrow’s technology available today and have committed significant resources toward getting this first offering right. Sure enough, it accelerates, steers, brakes and handles like the slightly heavy commuter car that it is. Top speed is approximately 90 miles an hour and range is still limited to 100 miles. Nonetheless, the Leaf is a remarkable achievement in that EVs are no longer engineer’s toys. The key is Lithium Ion battery technology that will power the Volt and other EVs in the future. Nissan has gone to great pains to maximize the packaging and utility of the battery pack and the result is a real car, leap frogging many competitors in this emerging segment. Fiat 500: If the Volt is GM’s salvation, this rival to the Mini is Chrysler’s prayer. The 500 has been the darling of the European subcompact scene for a couple of years offering a bevy of configurations to suit every taste. They are stylish, fun, efficient and, unlike the Mini, relatively inexpensive. There is still some hope that we’ll see the first 500s in showrooms before the end of 2010, but Chrysler’s future is still in flux and that could impact the launch date. 2011 Ford Explorer: America’s once favorite SUV has struggled in recent years since SUV has become a 3 letter word. Ford has taken this to heart and re-engineered, re-thought and re-imagined the Explorer. It is now based on a unibody design to save weight, improve packaging and on-road handling. The interior will offer class-leading technology and amenities and the drivetrain should offer the same, including Ford’s lauded 3.5 liter EcoBoost engine and a sophisticated all-wheel-drive system. While it’s no longer the off-road workhorse truck of yore, it promises to be a much better vehicle for how people want to use what was formally known as an SUV. The Car Connection and other automotive blog sites have spy photos of the 2011 Explorer cruising around Dearborn. As stated above, the production version doesn’t look anywhere close to the concept version. wonderful article!!! Adversity forces innovation in the auto industry. Wow I am not a SUV guy at all but Ford Explorer looks awesome.I am about aerodynamics and that’s my pet peeve about this class of vehicle .Even though Land Rovers look nice out in the country.This new look really took the fire from Land Rover,Land Cruiser ,Path Finder whatever pseudo macho for the meek vehicle of the week .I thought this category was played out but Explorer seems to reset the whole category.Can’t wait to see more of it and hear it may come with a 4 cylinder for better economy .Hope the product that come to market is as good looking. The cadillac looks awesome! It’s beena while since they came out with a slick style.